“In patients with advanced BRAF V600–mutant melanoma, combining the BRAF inhibitor encorafenib (Braftovi) with the MEK inhibitor binimetinib (Mektovi) improved overall survival compared to vemurafenib (Zelboraf) or encorafenib as monotherapy, with a favorable toxicity profile, according to updated results from the phase III COLUMBUS trial. 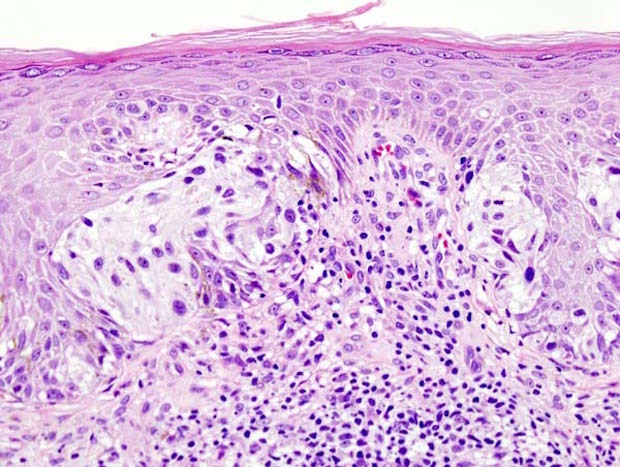 Editor’s note: This is part 2 of a 2-part post on the latest research in melanoma. To learn about research into drug combinations for melanoma that may work better than single drugs, check out Melanoma: New Drugs and New Challenges (Part 1 of 2). “Geoffrey R. Oxnard, MD, specializes in researching molecular mutations in non–small cell lung cancer (NSCLC) with a particular emphasis on prognostic and predictive biomarkers. Oxnard, who is an assistant professor of Medicine at Harvard Medical School and a thoracic oncologist at the Dana-Farber Cancer Institute, spoke with Targeted Oncology about the potential for BRAF-targeting therapies in NSCLC. “TARGETED ONCOLOGY: What is the potential for utilizing currently available BRAF/MEK-targeted therapies in treating patients with NSCLC? “Patients with BRAF-mutant melanoma obtained no survival benefit from combined treatment of anti-BRAF therapy and an immune checkpoint inhibitor, a retrospective analysis showed. “Median progression-free survival (PFS) was 6.0 to 6.5 months in BRAF-inhibitor naive patients who received a PD-1/PD-L1 inhibitor alone or with a BRAF inhibitor. Patients with prior exposure to a BRAF inhibitor had a median PFS of 8.0 months with anti–PD-1 therapy and 4.5 months with combined treatment. Median overall survival was 10.5 to 12 months with a PD-1/PD-L1 inhibitor alone or in combination with a BRAF inhibitor, regardless of prior BRAF inhibitor exposure status. “Combinations of targeted therapies continue to advance toward full regulatory approval for patients with metastatic or unresected melanoma, given the substantial benefits seen with these agents. At this time, the FDA is considering two applications for separate combinations of BRAF and MEK inhibiting agents for patients with unresectable or metastatic BRAFV600 mutation-positive melanoma. “In a randomized phase II KEYNOTE-002 trial reported in The Lancet Oncology, Ribas et al found that treatment with the anti–PD-1 antibody pembrolizumab (Keytruda) prolonged progression-free survival vs investigator-choice chemotherapy in patients with advanced melanoma progressing on ipilimumab (Yervoy) and, if BRAF V600 mutant–positive, a BRAF or MEK inhibitor.